With all RF connectors the safe power handling is determined by the heating and subsequent oxidation of the centre ‘pin’ for continuous operation at high frequencies, and by voltage breakdown between inner and outer at lower frequencies, or short pulse operation, and for reliable high power operation, connectors must be assembled with careful attention to cleanliness and alignment. In practice the power handling curve is a complex function of frequency, and extrapolating from spot frequency figures can be misleading, if in doubt the maker’s data should always be consulted. 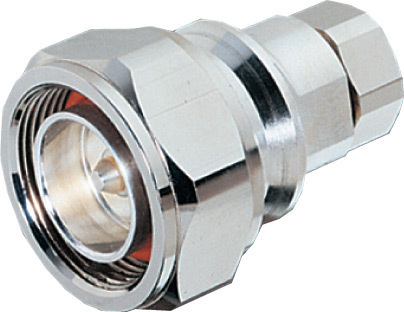 The 7-16 DIN connector or 7/16 (seven and sixteen millimeter DIN) is a 50 Ω threaded RF connector used to join coaxial cables. 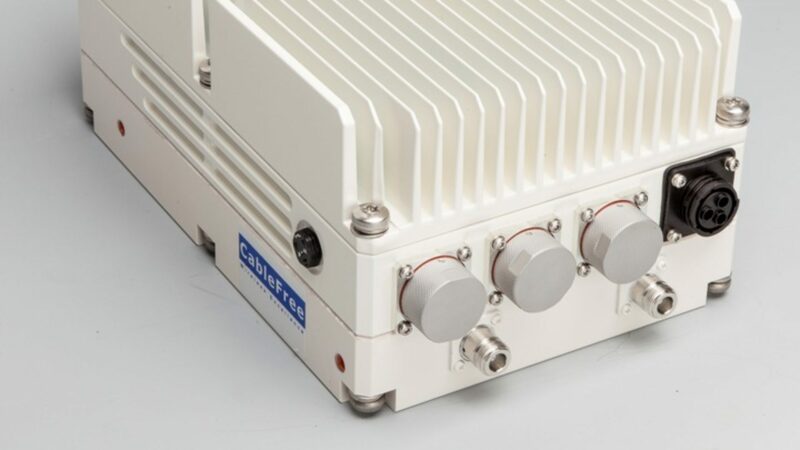 It is among the most widely used high power RF connectors in cellular network antenna systems. Originally popular in Europe, it has gained widespread use in the USA and elsewhere. It is not to be confused with the similar-sounding EIA flange adaptors which are referred to by the outer diameter in fractions of an inch. The 7-16 DIN connector out performs other non-flange options, such as N connectors or BNC connectors, when it comes to interference and intermodulation rejection or higher power handling at RF frequencies. 4.3-10 connectors are engineered for the wireless market and are ideal for applications requiring low passive intermodulation, or PIM. 4.3-10 connectors offer the same, robust design as 7/16 connectors but are smaller and up to 40% lighter, allowing for much more dense, lighter weight applications. These designs are IP-67 compliant to protect against dust and water ingress for outdoor applications, and provide excellent VSWR performance up to 6.0 GHz. Separate electrical and mechanical components yield very stable PIM performance regardless of coupling torque, allowing for easier installation. Silver plated contacts and White Bronze plated bodies offer a high-degree of conductivity, corrosion resistance, and durability.